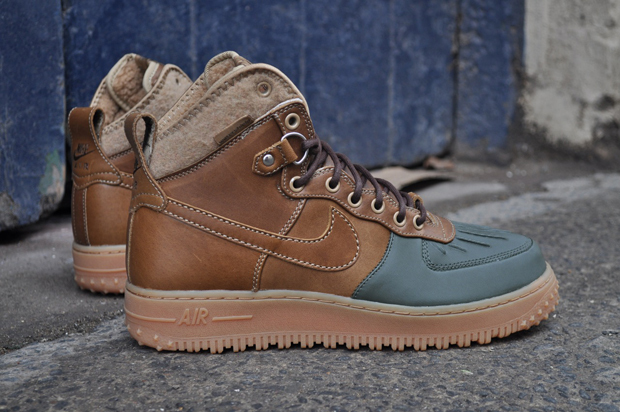 The Air Force 1 Hi Duckboot has become a staple part of Nike’s footwear artillery for the Autumn/Winter seasons. Recently we saw a new black/khaki make-up of this basketball classic gone wild get released, and now this brown/dark army colour-up also sees the light of day. 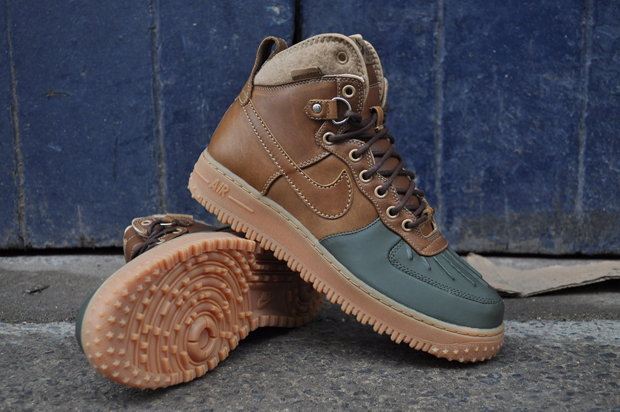 As you’d expect this shoe is ready to take on all kinds of adverse weather, with a water resistant nylon toebox and watershield protected leather guaranteeing that your feet will not get touched by water. To accompany the rugged shell of the shoe, the fleece inside also provides more comfort and protection from those cold and wet days. Finishing touches such as the spiked rubber out sole and tough laces also provide performance aspects with style in mind.